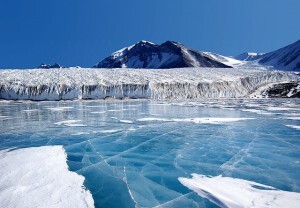 Chasing ice: how ice cores shape our understanding of ancient climate. This work has proved important for testing climate models. We can use information from ice cores to see how accurately climate models recreate past climates, which helps us assess how useful they are for predicting the future. For Australia, ice cores have expanded our understanding of factors influencing drought. Around a million years ago, ice age cycles shifted their pacing from 41,000 years’ to 100,000 years’ length. We don’t know what caused this shift. An ice core covering this period would allow us to extract a direct record of CO2 and see what role, if any, it may have played. A further pressing issue that is being discussed is the rapid loss of icecaps in mountainous regions. These vanishing glaciers hold climate information that will soon be lost to us, so the ice core community is urgently looking to drill and archive this precious resource.